This is without a doubt the most influential writing competition in the Philippines. 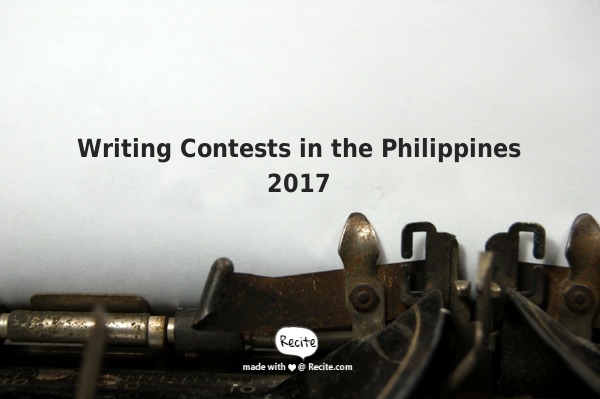 Writers who win a Palanca not only receives huge cash prizes, they'll also get the recognition they deserve for their works. The Palanca Awards has served as a springboard for a lot of successful Filipino writers. Winners of the prestigious competition include Alfred Yuson, Cirilo Bautista, Gregorio Brillantes, Jose Dalisay, and Jesus Peralta. Prizes for winning entries range from 9,000 to 50,000. Sponsored by the Lampara Publishing House, the goal of this contest is to find interesting stories that are suitable for young adults (those within the age range of 12 to 18). It's open for all writers at any age as long as they are Filipino citizens. Submissions must be original, never been published, offers a moral lesson, and contain between 40,000 to 50,000 words. There is no specific theme. You are free to decide on what theme or genre you want to write about. You can also submit as many entries as you deem necessary.